In 1966, Charles Huggins received a Nobel Prize for defining a hormonal relationship between the testes and the prostate. In the 1940s and the 1950s he had shown that castration could, in many cases, reverse the ravages of advanced prostate cancer. The mechanism of action involved surgical withdrawal of testosterone, which is produced by the testes and upon which prostate cancer often depends. Because testosterone falls into a class of hormones known as androgens, prostate cancer treatments that negate its effects are referred to as anti-androgens (AAs) or androgen deprivation treatments (ADTs). Surgical castration is permanent, relatively cheap, and safe. However, it’s not very appealing to most men. Consequently, drug treatments have been developed that negate the action of testosterone without surgical castration. Among the first such drugs was the oral estrogen diethylstilbesterol (DES). This hormone works by telling the brain to tell the testicles to stop testosterone production. DES is very effective at suppressing testosterone — but it has also been associated with a risk for life-threatening cardiovascular complications. Anti-androgens used today (leuprolide/Lupron, goserelin acetate/Zoladex, bicalutamide/Cadodex, and others) are also associated with unwanted effects, including hot flashes, breast tenderness, chemical hepatitis, visual disturbances, fatigue, and mood changes. To date, no anti-androgen has been invented that suppresses testosterone with no significant side effects. The relative importance of unwanted effects has been magnified by the introduction of PSA testing. This testing is routine after initial treatment of prostate cancer because it allows a regular measure of prostate cancer status. Post-treatment PSA testing gives us a relatively early view of prostate cancer status. Before PSA testing was available, one had to wait for clinical signs (e.g., bone pain), before knowing that cancer had progressed. What this means is that today many patients today receive androgen deprivation treatment, initiated in response to rising PSA, much earlier than they used to, and sometimes for very long periods. This increased duration of treatment increases the likelihood of side effects. Testosterone has effects on many organs. For example, testosterone affects beard growth and patterns of balding. On an invisible basis, it also affects bone health. Clues to this originate in observations made in rats, where diminished testosterone is associated with reduced bone density in bones; in mild states, this is referred to as osteopenia, in severe states as osteoporosis. The same is true in humans, where delayed puberty — delayed testosterone action — is associated with reduce bone density. We care about bone density because low bone density is associated with increased risk of fracture. In men with prostate cancer, fractures are associated with a risk for reduced survival. The study also showed a time-dependent decline in bone mineral density (BMD). This observation, which parallels the occurrence of fractures, suggests that castration-dependent fractures may be preventable if osteoporosis is prevented. 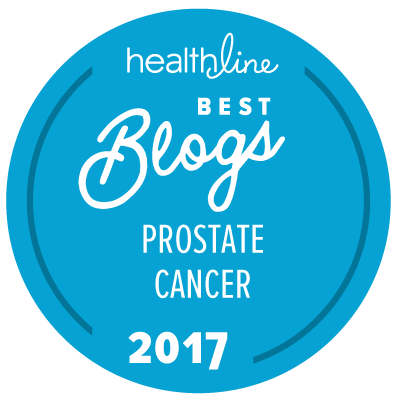 The first step in minimizing the likelihood of fractures in men with advanced prostate cancer is to understand that their treatment does not occur in a vacuum. All aging men are at risk for fractures and some men more so than others. For example, slender white men are most at risk for osteoporosis and fractures. Men who consume a lot of alcohol and who smoke are likewise at increased risk. Thus, when you are considering the use of any treatment that may accelerate bone loss, you also need to consider your personal baseline risk. The second step is to consider if there are ways to reduce your risk. Among the possible ways are exercise, which can theoretically mitigate bone loss from anti-androgen treatment. “Theoretically” because there are no studies showing that bone loss specifically caused by anti-androgen treatment is affected by exercise. Moreover, men on anti-androgen treatment often experience mood changes, including depressed mood. Even if exercise did mitigate the ill effects of bone loss, it is not clear how one would motivate depressed men to take exercise. Exercise is appealing for many clinical and modern cultural reasons. Still, its benefits remain theoretical in this context. Medications have also been developed to mitigate bone loss. Among them are the bisphosphonates, such as zoledronic acid (Zometa) and pamidronate (Aredia). These drugs are not specifically approved by the US Food & Drug Administration for treatment of bone loss in men with prostate cancer. Although bisphosphonates do reduce bone loss in men receiving anti-androgen treatment, they are also associated with side effects, including muscle pain, fever, kidney dysfunction, nausea, and a serious dental condition known as “osteonecrosis of the jaw.” There are no data to show that bisphosphonates reduce risk for fractures in prostate cancer patients. Selective estrogen receptor modulators (SERMs) are used to retard bone loss in women. They are also active in men. Raloxifene (Evista) has been shown to retard bone loss in prostate cancer patients who receive anti-androgen treatments. Toremifene (Fareston) has similar effects and has established a new benchmark by demonstrating statistically significant reduction of vertebral fractures in men receiving androgen deprivation treatments. Anti-androgen treatment for prostate cancer is associated with many side effects. Some are obvious: hot flashes, mood changes, and loss of libido. Bone loss is much less obvious but is potentially a very serious problem. The risk for bone loss should be considered as part of the decision to initiate androgen deprivation treatments for advanced prostate cancer. Bone density measurements can be carried out as part of the evaluation, and early data suggest that toremifene will have a role in diminishing the effects of bone loss.